I keep seeing this adorable yarn wrapped letters on different blogs and thought I would try to make my own. Similar items have been sold at stores for upwards of $25! Yikes! So when I was feeling creative and looking for a project, I knew this inexpensive idea would be perfect. 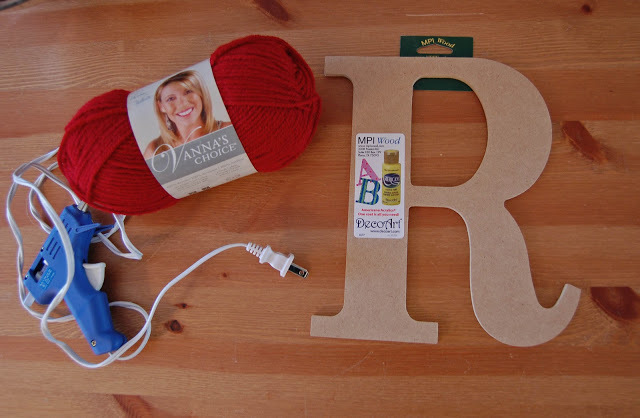 All you need is yarn and a letter of your choice. I also ended up using some hot glue, but you could do without it. I spent about $4.50 at Hobby Lobby for this project! Cheap! And apparently Vanna White has a yarn collection. Who knew? 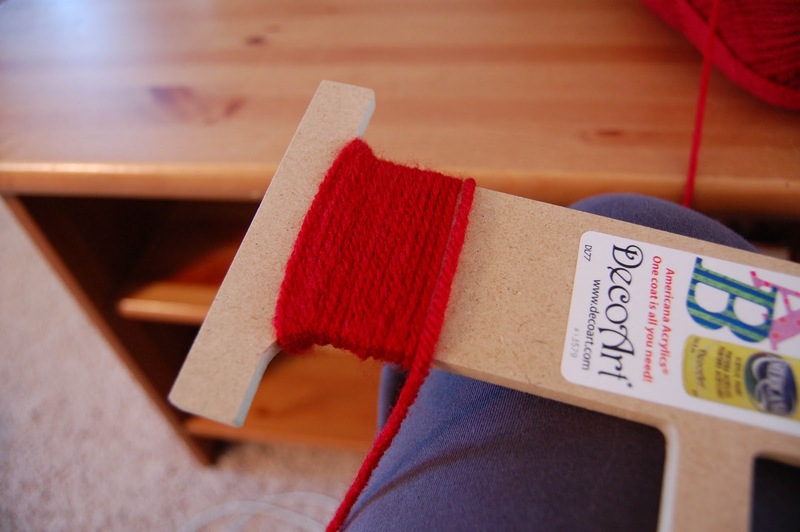 Start by tying your yarn in the back. Make sure to keep all of your “ugly” spots hidden in the back. 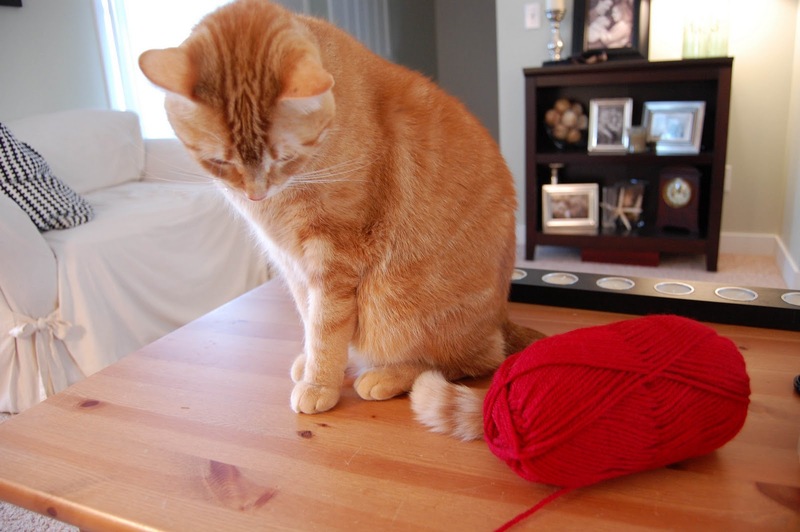 Pancake really wanted my yarn. The letter R was hard! 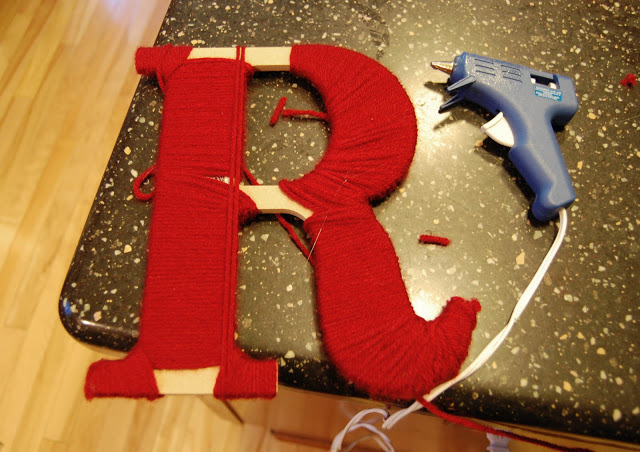 You have to cut pieces of yarn in order to do the whole in the R. I ended up securing the end pieces by either tying them or using hot glue. Once I gave up on making it perfect, it was much easier. Remember, it doesn’t have to be perfect to be beautiful! I wrapped each part horizontally, and then went over the straight pieces vertically. 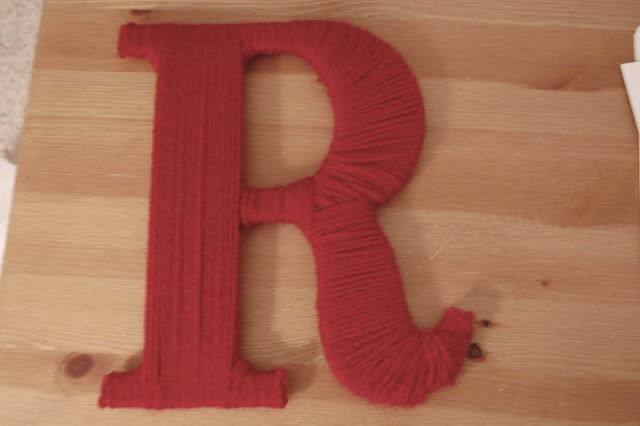 So there are two layers of yarn on the R. My advice: don’t worry about making the first layer perfect, just try to cover all of the letter. Then on your second layer you can make it look more polished. And here is the finished project! It’s far from perfect, but it’s still pretty. Probably no one will see the imperfections but me! The R took me about an hour to complete. Not too bad! What a great idea! I love it. That would be a fun present for a baby gift too. Thanks for sharing! I am stealing this idea for sure! Love this, I am going to have to try it out myself and LOVE your blog…I am your newest follower!! What a cute idea! Where are you putting yours in your house? and Vanna? that is hilarious! such a neat idea. i love hobby lobby. if i weren't snowed in, i would be there RIGHT NOW. and who knew that the yarn industry was so booming. That is SO cute! I may have to steal your idea! I love the Vanna yarn, it is much softer than some of the others in that line. I love it! So cute and wow, Vanna is really getting around. I love this project too! what a cute idea. I am definitely bookmarking it cause we could sure use a yarned S around here. Thanks! I love this! The R looks great and I can't wait to make a K this weekend! You're so crafty, way to go Julie. 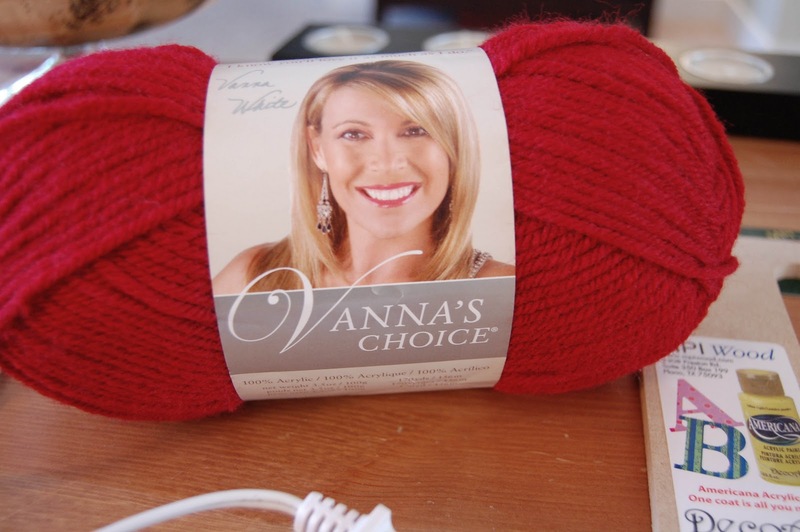 PS Clearly Vanna has her own yarn because she's just that fabulous! love it! I wish I had a hobby lobby here! 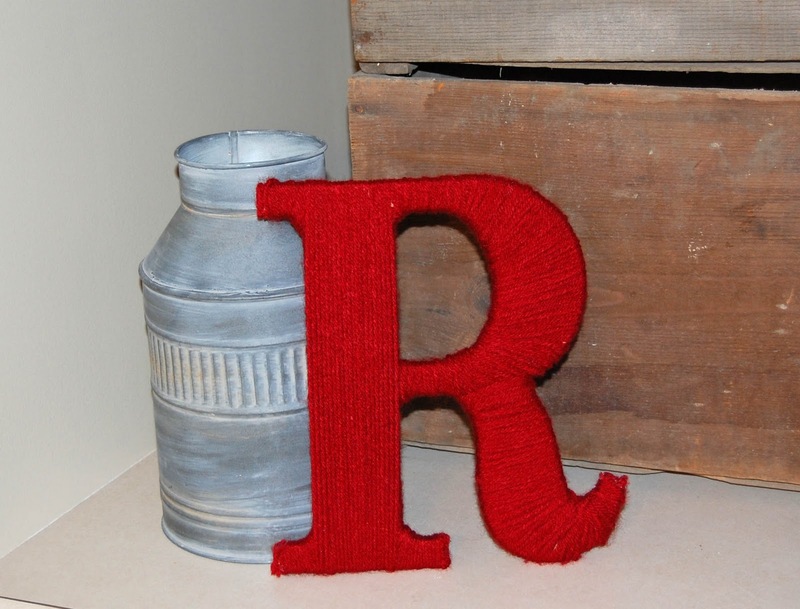 the R is gorgeous!!! That is an awesome idea!! I just redid my spare bedroom/office and am working on accessories right now and was wanting to do something with my first initial. Thanks for the idea!! I love it! LOVE IT! I am going to make a big pink one fore my friend Kim for her birthday in Febuary…..she needs more flair in her apartment! Was one spool( ?) of yarn enough or did you feel like you needed more! Very cool and creative! 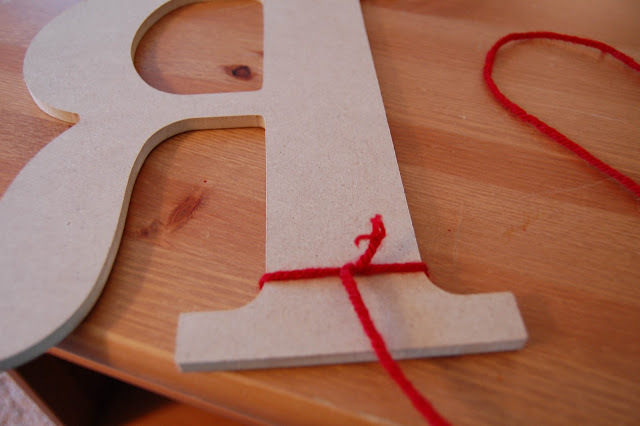 I'm in the mood for a simple but fun crafty project… this might be just the thing! This is beautiful! I think I may just try this too!